We stock a fantastic range of kitchen worktops. We believe that you really do not have to look any further for your oak worktops in the UK. oak worktops are an incredibly popular choice in many homes, thanks to their traditional charm and the fact they age beautifully over time to give your kitchen an increasingly rustic, natural and warm appearance. Solid oak wood worktops are naturally resistant to bacteria and incredibly hard-wearing, meaning that with the right care and attention, your oak worktops could easily last you a lifetime! Our Solid oak Kitchen worktops come in a number of different sizes, for bigger kitchen designs, check our solid oak 3m and 4m worktops range. For a small kitchen design, then our 40mm oak worktops & 60mmm worktops ranges might just be for you! Our solid oak worktops are available in 40mm full stave worktops widths. The stave size refers to the width of the smaller individual lengths of timber which make up the worktop. With appropriate maintenance, your solid oak worktop will provide you with years of value that will only gets better with age. An oak kitchen worktop will change in appearance, it's to be expected. Your oak wood worktops will mature and with that, the colour of your worktop in oak will become richer in colour which will provide you with a solid beautiful oak worktop. If you’re looking for a worktop without the maintenance of worktops in Oak, check out our oak laminate and oak effect worktops. From our solid wood worktops range, each of our splendid oak worktops offers you something different in terms of style and with a massive number of different grain patterns from which to choose, you can be sure of finding your perfect kitchen oak worktops with us. Oak block worktops are a porous work surface. We advise you treat your oak worktop to ensure liquid and spillages absorption is minimised. Try not to use excessive amounts of water when cleaning your oak worktop and ensure your work surface is wiped completely dry. We recommend that you use cleaning products designed to maintain and protect your oak worktops. For daily cleaning, use a damp cloth to clean your oak wooden worktop. Although maintenance is required, we think our prime oak worktops are worth it. The results are completely stunning! Why not check out our entire kitchen worktops range? 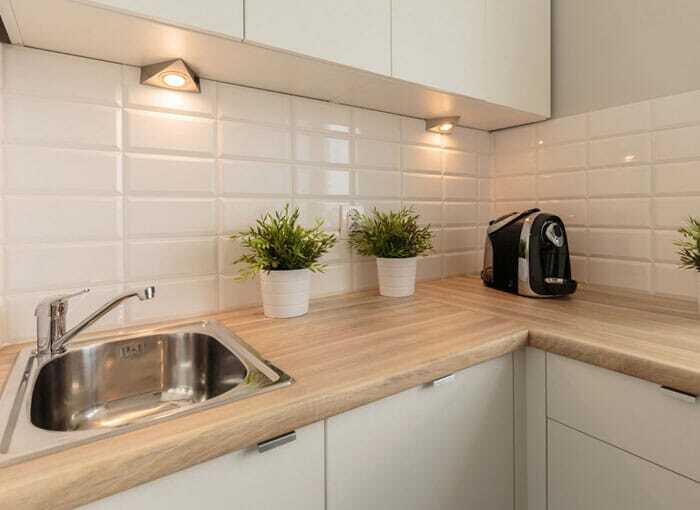 We have a superb selection of worktops for you to choose from. The grain on every single real wood oak worktops is unique, this creates a fantastic kitchen worktop packed with character. 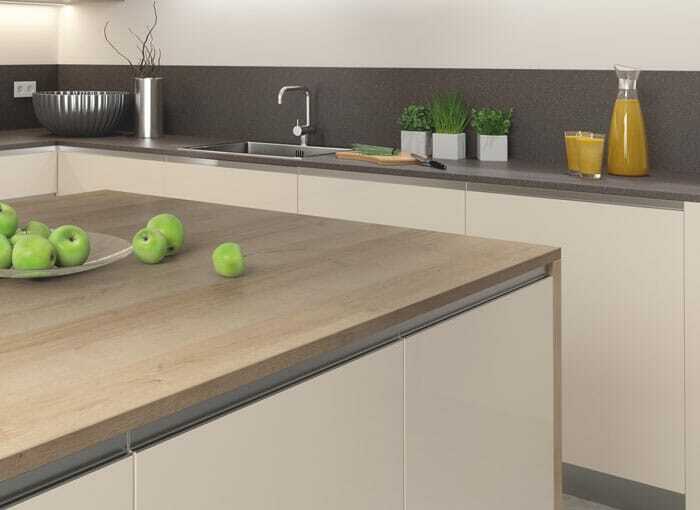 Our complete solid oak worktops range will compliment traditional and contemporary kitchen designs alike. For that warm and rustic feel, we recommend our solid wood rustic oak worktops range. Each beautiful worktop varies in intensity of grain variation and character. We supply quality, cheap oak worktops that are very affordable, meaning that you can have the worktop of your dreams without breaking the bank. This is due to our fantastic relationships we have with oak kitchen worktop UK suppliers. We choose our suppliers very carefully so we can ensure you get quality, cheap oak worktops when you need them! 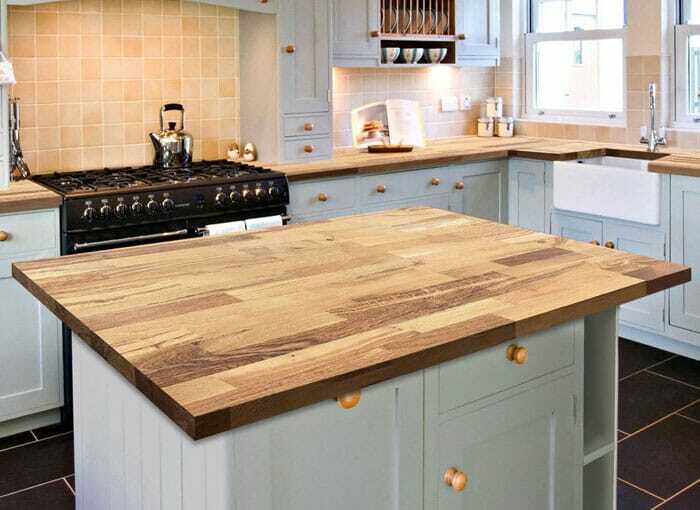 At HC Supplies we believe we offer oak wooden kitchen worktops at the best prices around and offer a no fuss guarantee for 100% satisfaction. 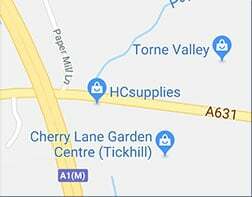 You’ve probably seen for yourself our cheap oak worktops prices but for a closer look at the quality, why not come and visit our showroom in Doncaster, North Yorkshire? You’ll find a comprehensive sample range for you to browse through. The most difficult part will be choosing your perfect worktop for your kitchen or bathroom design! 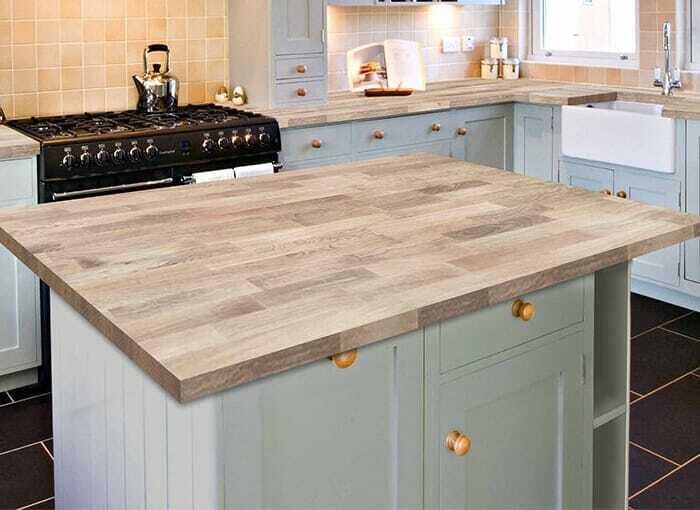 Additionally, why not check out our wood effect worktops for beautiful range of oak laminate worktops all available in our comprehensive laminate kitchen worktops range. Our oak worktops selection is usually available for delivery within just 2-7 working days. We also stock a stunning range of solid oak breakfast bars and oak upstands for worktops to complete your kitchen design in style!